Well good morning friends and happy Thanksgiving eve!! I hope you’re all enjoying a little time off this week with your family and loved ones. Don’t you just love this time of year? This week in particular is always so fun because I feel like it’s all about family, food, and of course shopping the big sales on Friday!! I don’t know about you guys, but my goal is to get a ton of my holiday shopping done this coming weekend. And all from the comfort of my couch because there’s no way I’m fighting those crowds. I’ll definitely be blogging all about my favorite sales again this year, so stay tuned for that! 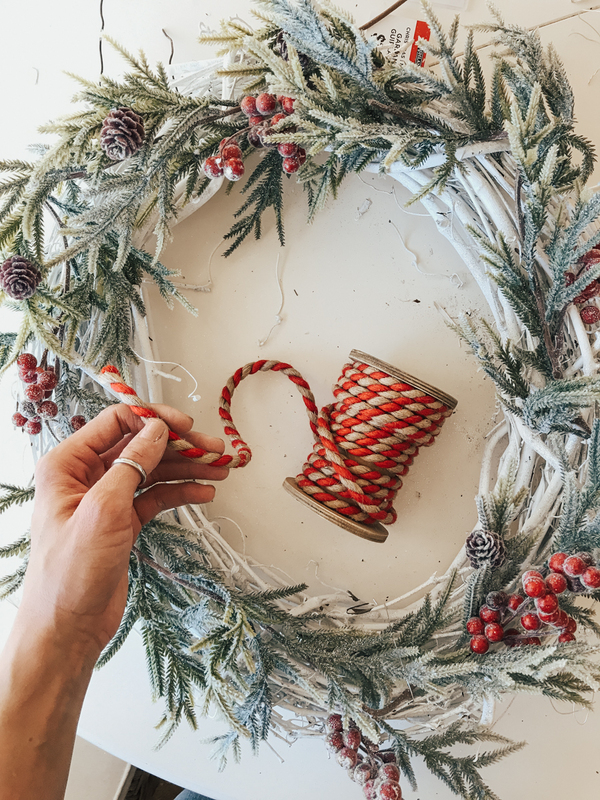 But today I wanted to share a quick and simple DIY Christmas wreath that you can make in three easy steps. 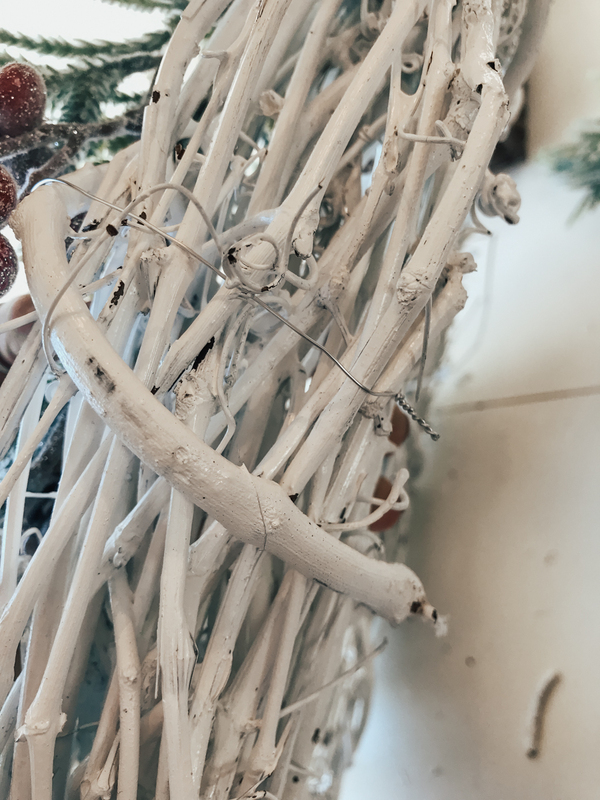 All you need is a grapevine wreath, any holiday garland, and some wire. 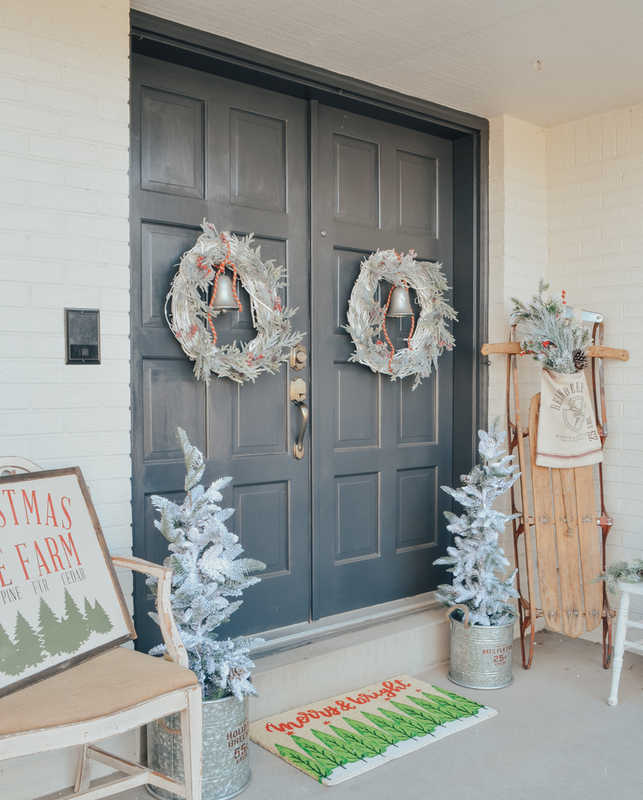 The first step is to find Christmas garland you love. I picked this one up from Michael’s, but just about anything will do. I prefer garland because it’s full and usually looks more expensive than individual picks. 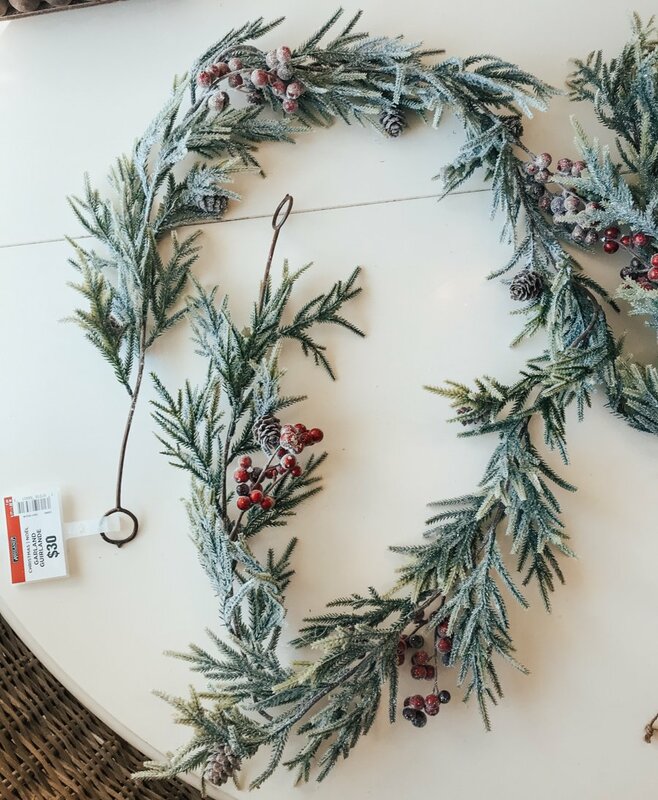 So once you have your garland, simply lay it on top of a grapevine wreath and trim it down to fit the size you need. 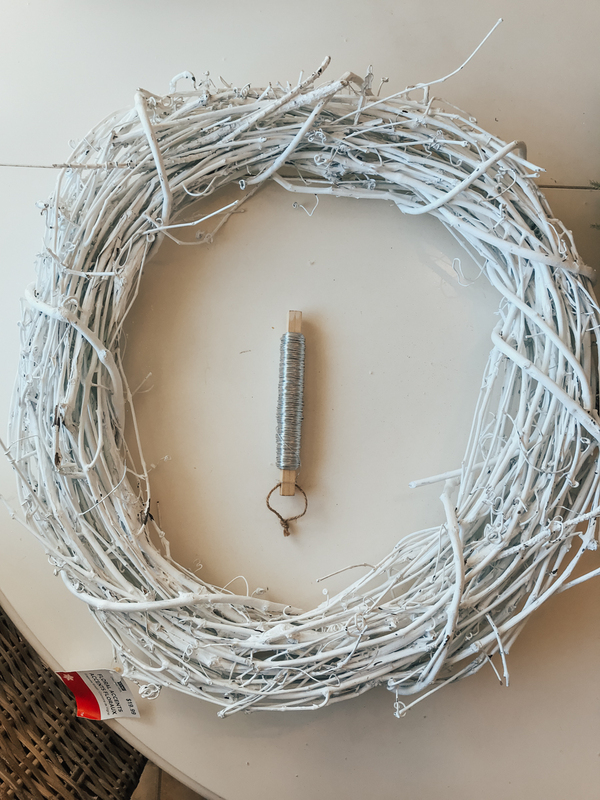 The second step is to use small pieces of wire to secure the garland to the grapevine wreath. You can do this with just about any wire, but I prefer this method over hot glue. It just works so much better and it’s much faster too. 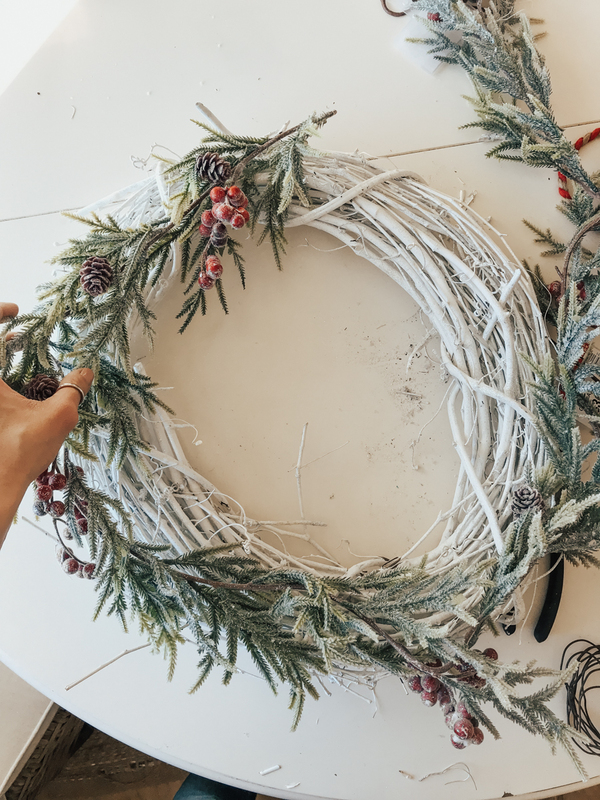 Simply tie it around the wreath, twist it tight, and trim off the excess. EASY. 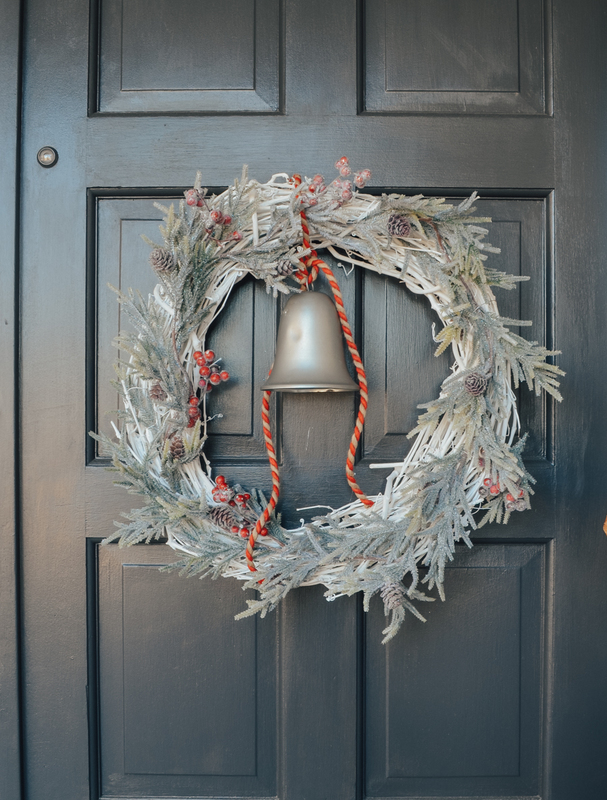 The third step is to add any kind of ribbon, bow, or accent piece to the wreath. I chose to tie this red and green rope to a small bell for the top of the wreath. This step is totally optional, so feel free to skip it! I love how this turned out! I like how the white grapevine wreath looks with the frosty garland and berries. And it literally was so easy to do. Both of these wreaths took me less than 30 minutes and they were much more affordable than purchasing a finished wreath in the store. 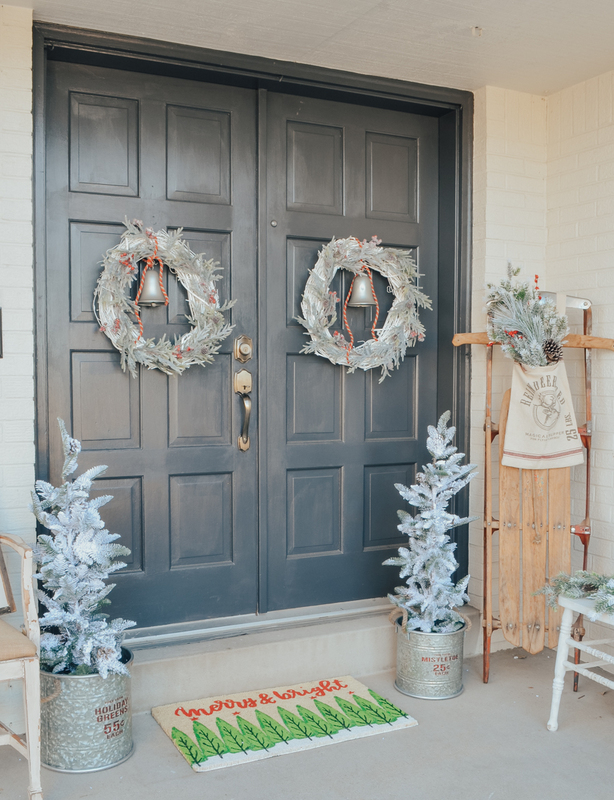 I haven’t quite finished our Christmas porch look yet, but I love how it’s coming together slowly. The wreaths were the first step in the process! I’ll definitely share a finished look of the whole thing when I’m done. And by the way, how darn cute are those galvanized buckets? I got them last year and unfortunately I can’t find the link. But these are very similar and a great price too! 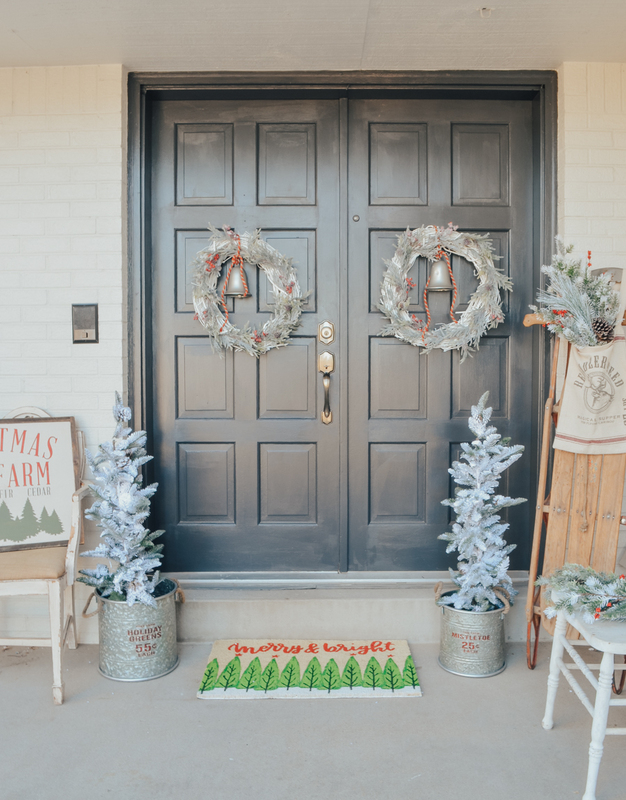 I always love making DIY wreaths because they are so easy when you use garland. It’s really such a simple and fast project. And it would be a great gift too! Perfect for a neighbor, friend, co-worker, holiday gift exchange, etc. And you can totally customize it to fit your style, which is pretty fun too. 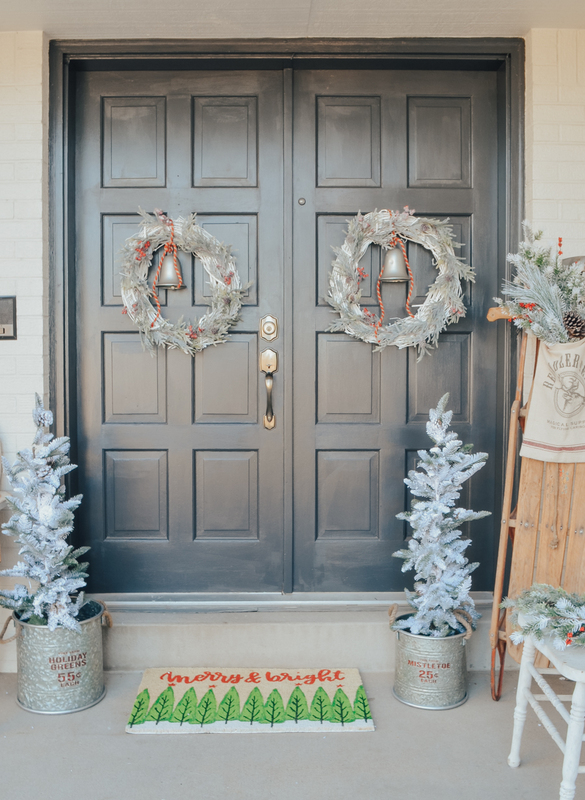 Love the wreath idea, I have been doing that for a long time now. I love the white though, I think I am going to buy a new one and spray paint it and find a place to put it this Holiday Season. Enjoy a blessed day and a very Happy Thanksgiving to you and your family. So cute! I was actually planning to do something very similar to go above my mantle! I’m ready to get started on it asap after seeing yours 😃 Thanks for sharing! So pretty and easy, I love the bells, thanks for sharing! They look great Sarah! Thanks for the DIY inspiration! I’m going to try this out! I love these simple projects. 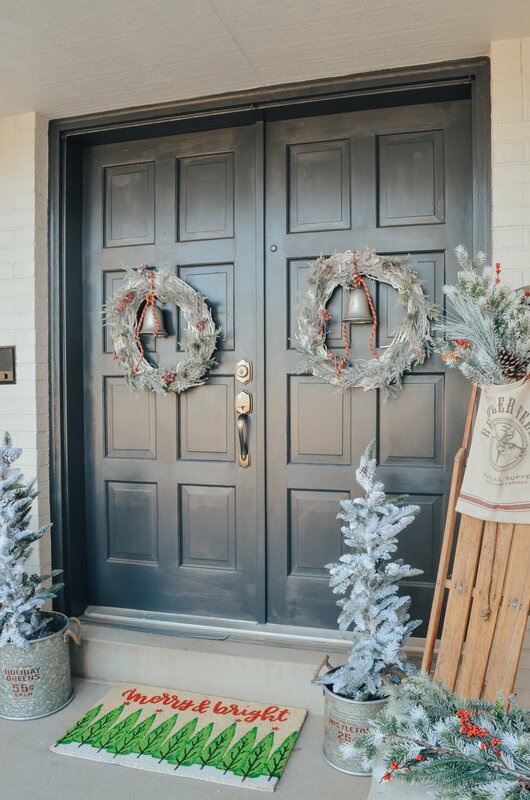 These wreaths are one of my favorites. I’ve made a few since I saw how you did it! Thank you for showing me how to make a wreath. I have been looking at wreaths to buy never thought about making it. I’ve been looking for wreaths but they seem so expensive this year. This was a timely email that will prove to extremely useful to me. 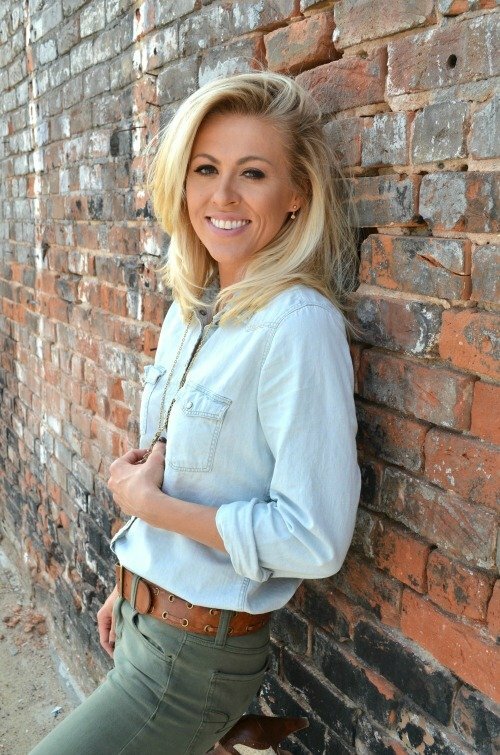 Love these quick and easy ideas! So sweet! Love the look over the double doors! What did you use to hang them with?? ?